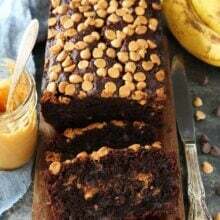 Peanut Butter Banana Bread is a peanut butter lover’s dream banana bread! 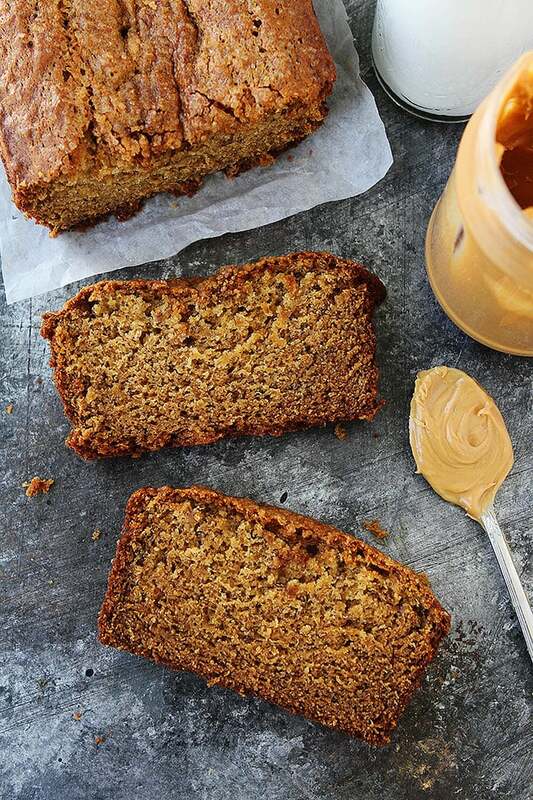 Enjoy a slice with extra peanut butter or a drizzle of honey and you will be in banana bread heaven! This post is sponsored by The National Peanut Board. Peanut butter is one of my all-time favorite foods. I have been a peanut butter lover since I was little. I could always count on a PB&J to make me happy, I still can. It is one of my go to comfort foods. I think peanut butter makes just about everything better, including banana bread. 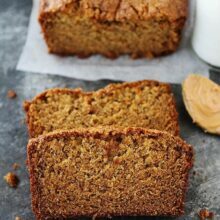 Have you tried Peanut Butter Banana Bread? 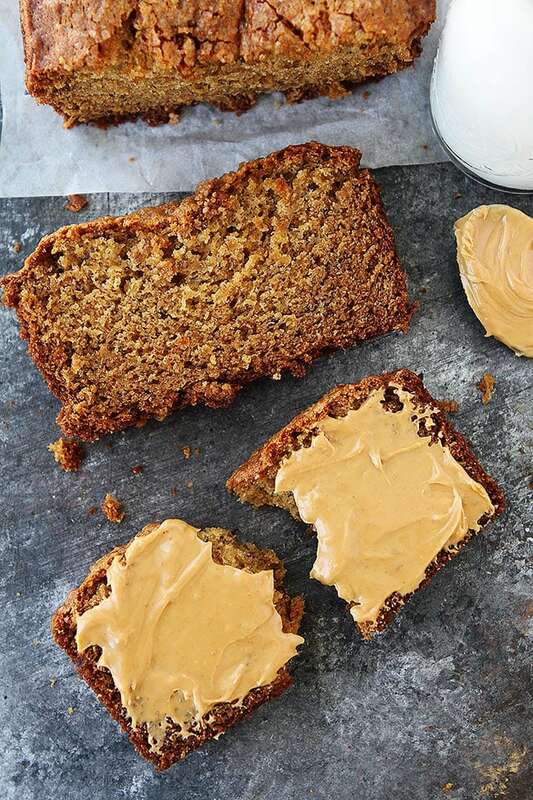 If you are a peanut butter lover, you are going to go bananas for this banana bread recipe. It is full of peanut butter flavor! You all know I am obsessed with baking banana bread and this one is a winner! Peanut butter is one of my favorite foods and I am lucky I can enjoy it because I know there are lots of people that are allergic to peanuts, like Josh. Josh has been allergic to peanuts and all nuts his entire life. Josh is very good about controlling his nut allergy, but I had to train myself when we got married to make sure I wasn’t jeopardizing Josh’s health. I am a vegetarian and rely on nuts for protein and Josh promised me that it was fine for me to keep eating nuts and to keep nuts in the house. At first, I was a little scared, but we have found a system that works for us. I am very careful about not having nuts around Josh and make sure they are separate in our house. When we had our boys, we were nervous that they would have nut allergies. We took them to an allergist when they were infants and learned that it was safe to introduce peanuts to them at a young age. We did this and fortunately Caleb and Maxwell aren’t allergic to peanuts or any nuts. 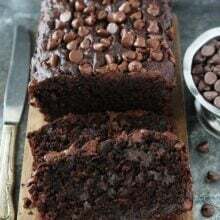 They love peanut butter, just like their mom, especially this Peanut Butter Banana Bread, it is one of their favorite ways to enjoy peanut butter. For a child that has severe eczema or an egg allergy or both, the new guidelines recommend talking with your doctor before giving them any peanut foods. Your healthcare provider might want to do an allergy test or introduce baby-friendly peanut foods under medical supervision. Once cleared, infants in this category should start eating peanut foods around 4-6 months of age and should continue to consume them regularly. For a child with mild to moderate eczema, the new guidelines recommend feeding them small amounts of baby-friendly peanut foods, like peanut powder or thinned peanut butter, around three times a week starting when they are around 6 months old. For a child with no eczema or other food allergies, the new guidelines recommend introducing food that contain peanuts at the same time you’re introducing other solid foods as often as you would like and in accordance with family preferences and cultural practices. Most children will fall into the low risk category. Parents who are anxious about introducing peanut foods early should consult their pediatrician for support and guidance. 21 pieces of Bamba® or a similar baby-friendly peanut-puff product contains the right amount of peanut powder. You can give them peanut puffs as-is or softened with 4-6 teaspoons of water. Mix 2 teaspoons peanut butter or peanut powder into 2-3 tablespoons of previously tolerated pureed fruit or vegetables. **Whole nuts should not be given to children under age 5. Peanut butter directly from a spoon or in lumps/dollops should not be given to children younger than age 4. To learn more about how to prevent peanut allergies in young children, please go to PreventPeanutAllergies.org. And if you are a peanut butter lover, like me and my boys, make sure you make a loaf of Peanut Butter Banana Bread. 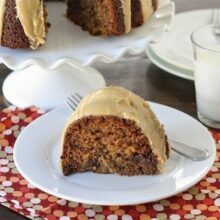 There is peanut butter inside the moist banana bread and it is loaded with peanut butter flavor. I also like to spread peanut butter on my slice of banana bread. Sometimes, I even add a drizzle of honey, which reminds me of peanut butter, banana, honey sandwiches; one of my favorites! 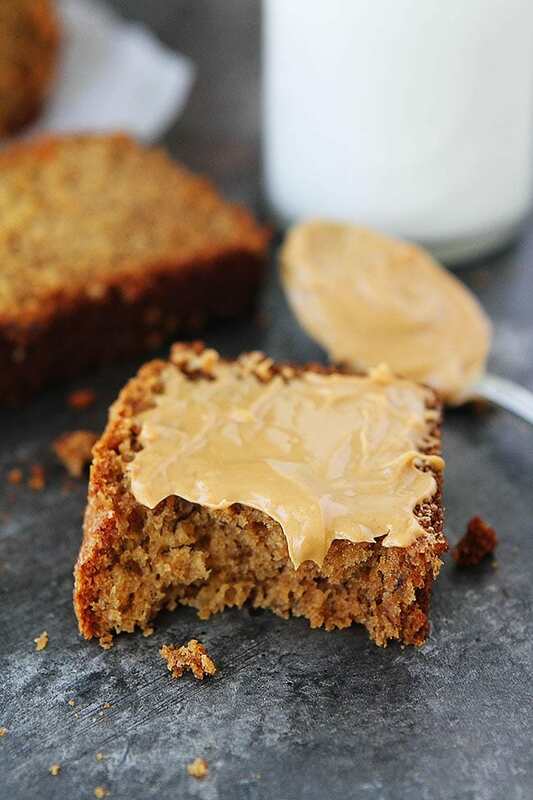 This easy banana bread recipe is loaded with peanut butter flavor! Enjoy a slice with extra peanut butter or a drizzle of honey. Preheat the oven to 350ºF. Grease a 9x5-inch loaf pan with nonstick cooking spray and set aside. In a large bowl, mash the ripe bananas with a fork. Add the peanut butter and melted butter and stir until combined. Stir in the brown sugar, egg, and vanilla extract. Stir until smooth. Remove the pan from the oven and set on a wire cooling rack. Let the bread cool in the pan for 10 minutes. Run a knife around the edges of the bread and carefully remove from the pan. Let the bread cool on the wire cooling rack until slightly warm. Cut into slices and serve.Note-the bread will keep on the counter, wrapped in plastic wrap, for up to 3 days. This bread also freezes well. To freeze, cool the bread completely and wrap in plastic wrap and place in a freezer bag. Freeze for up to 1 month. Defrost before slicing. 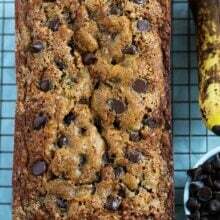 With a schmear of PB on top, and you’ll be in banana bread heaven!! I am obsessed with PB too and have literally said before I would be SO sad if I had a child with a peanut/nut allergy! Love that the recommendation is to introduce peanut foods early…so glad your boys don’t have an allergy! It is so important! We are thankful our boys aren’t allergic. Why have I never thought to add pb to our banana bread?? We made a load this morning and our recipe is almost the same as yours except we use coconut oil and add walnuts. I’ll definitely be adding to pb next time. Thank you for this wonderful info. Peanut butter is a game changer! My 2 yo great niece LOVES both peanut butter & banana bread. I’ll be making this for her soon. Thanks! I made this today. My variation from the recipe was that I used gluten free flour. I baked it in a silicone loaf pan at 350 degrees in a convection oven. It was very done at 45 minutes. Next time using the same preparation, I will reduce the temperature to 325. Baked gluten-free, it was tasty and the texture was pleasing. I look forward to trying the recipe with regular flour. Looks delicious Maria.Keep it up! I LOVE that you shared guidelines for introducing peanuts! 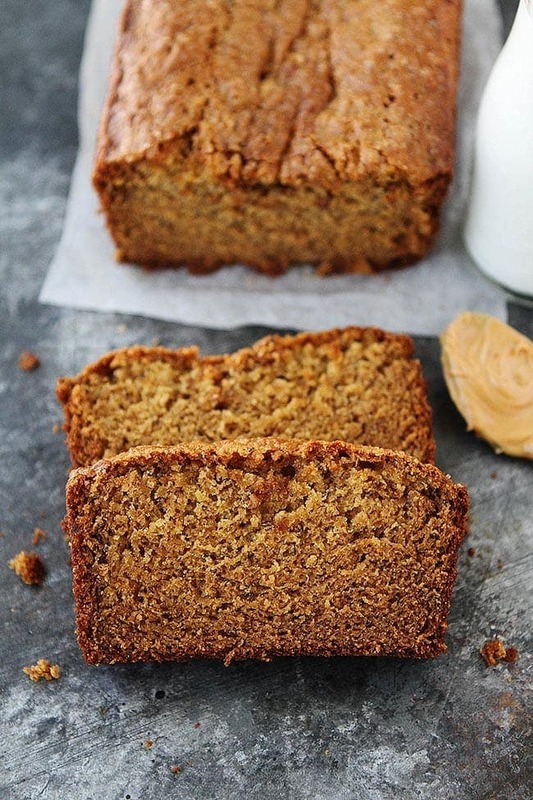 This bread looks out of the world- peanut butter and bananas is one of the best combo’s! Thanks Heather! The message is so important. oh man, this is my weakness! I adore peanut butter in all forms! and I’m giving it 5 stars FOR SURE! Oooooo what a dangerous flavor!!! This bread is so perfect! Best flavor combo! This is great! Made it just as written with the exception I did not have kosher salt and used 1/2 t of table salt. I enjoyed it for snacks and breakfast and even shared it and the recipe, which I only do if very confident about a recipe. I put peanut butter on it and also drizzled with honey. Has anyone made this recipe with chunky peanut butter? Over the years I have come to the conclusion that there is a banana conspiracy in my family. They usually manage to leave exactly three bananas to ripen, and I think it’s so that I will frequently bake banana bread! I wanted a change from our usual banana bread recipe, and this is it! Banana and peanut butter together are so good. I used 1 T. less flour and replaced with 2 T. wheat germ (I always add wheat germ to my quick breads) and added 1/4 cup each milk chocolate chips and peanut butter chips and some chopped walnuts. Delicious! Thanks for a new banana bread alternative. Glad you liked the bread.